Lady Gaga is an absolute star. 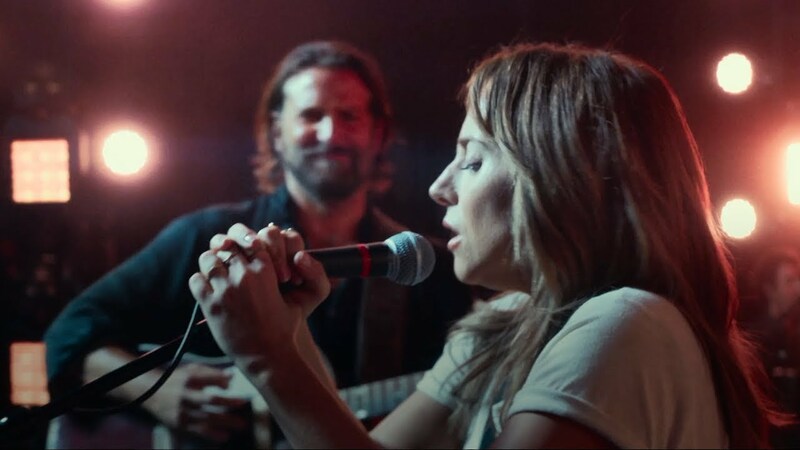 Before, during, and I dare say after, A Star Is Born I have loved Gaga. There’s a narrative going about during their press junket that Bradley Cooper had to push hard to get film execs on board with casting Gaga as Ally in the latest adaption and, if true, that bugs me because having seen it I genuinely feel that there is no one else that could have played her. Ally’s character has clearly been moulded around her talents - as with Barbara we have abandoned the movie star goals focussing solely on music - and I would love to know exactly how much was changed or added after casting. 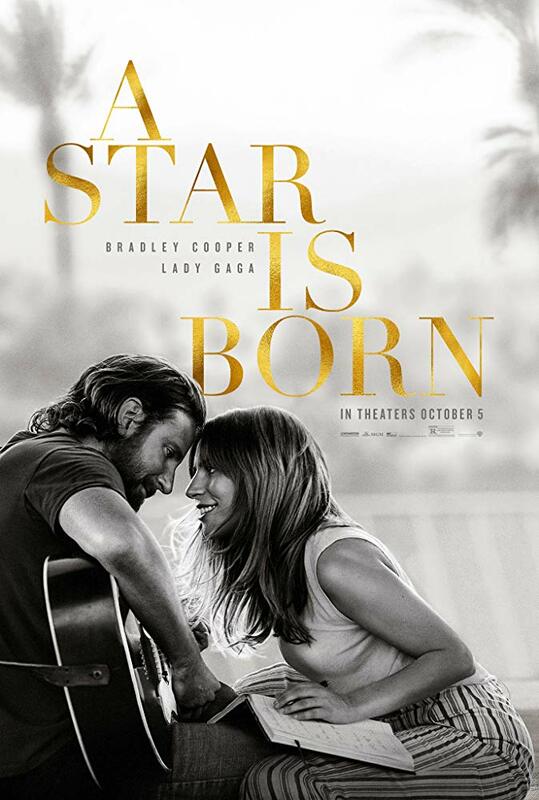 Bradley Coopers’ Jackson Maine cuts more of a sympathetic character than we’ve seen in previous versions of A Star Is Born, right back to the original 1937 film which inspires some of the more selfless themes in the 2018 reboot, so much so that it makes you wonder who the film is really about. The women of A Star Is Born have always been iconic and Lady Gaga’s portrayal takes notes from all of them. With the gut punching emotional power of Judy, the self deprecating charm of Barbara, and the selflessness of Janet Gaynor, she is wonderful on screen; even if some of her characters backstory is ignored to allow for Jackson’s. This may have something to do with Bradley Cooper developing the film for himself or maybe just a purposeful twist on the tale but, to be honest, I’ve always felt that this story was more about the man that about woman; or more specifically it’s about her through his eyes and how he deals with her surpassing him. Spoiler alert: it’s not always well. Despite this I left the cinema having cried my heart out. We’ve seen this tale close to half a dozen times now and this is the first adaptation that has grabbed my emotions and made me feel all of them. Maybe it’s a generational thing. There is a more frenetic pace that mirrors how fast life is in 2018 and you are really led to believe that this is a whirlwind relationship. Maybe it has just been so long since I’ve watched the originals but watching Ally and Jackson make their mistakes, willing them to get it right, I was completely invested in their story and this felt like “my” version. Of course, has a lot to do with the music. Filled with really credible country rock songs you absolutely believe that Jackson deserves to be the rock star that he is. Aside from the leading song Shallow, written by Gaga and Mark Ronson, I’m hearing these songs for the first time and they feel like I’ve heard and loved them for years. The cinematography on stage during the live performances is beautifully done too. It made me miss my days of being on stage in sweaty bars, filming gigs in bad lighting and trying to find the best angle; although with locations like Coachella and Glastonbury they had an easy task of making it look impressive. I’ve come to the conclusion that I would happily go to a Jackson and Ally concert - if the gods of cross platform marketing could make that happen that would be swell. In summary, I walked in to the cinema thinking this was going to be a cute little remake and walked out absolutely blown away. There may be better versions of A Star Is Born but this is now my favourite.